Michigan State hosted Wisconsin and Minnesota at Munn Ice Arena last weekend as part of the College Hockey Showcase and didn't play like the nation's No. 7-ranked team in a pair of losses to their Big Ten opponents. Friday night, Wisconsin took a 7-3 win, while the Golden Gophers escaped with a 2-1 win Saturday night. Michigan State has now not won a Showcase game in nine seasons, going 0-13-7 since 2000. Andrew Rowe scored MSU's lone goal Saturday night and Drew Palmisano made a career-high 40 saves. Mike Carman won it for Minnesota with a goal at 17:14 of the third period. Against Wisconsin, Derek Grant had a goal and two assists and Palmisano made 21 saves on 25 shots before being pulled for Bobby Jarosz just past the 14-minute mark of the second period. Jarosz finished with eight saves on 11 shots. Corey Tropp and Matt Grassi (first NCAA goal) also tallied for the Spartans. 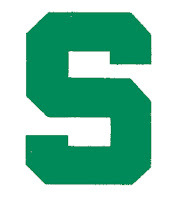 MSU (9-5-2, 6-2-2-0 CCHA) heads to Northern Michigan for two CCHA games this upcoming weekend.